Hi all! This week's post will be appreciating one of our wonderful steering committee members, Ila Nimgaonkar! Ila is an MD/PhD student at Rutgers Robert Wood Johnson Medical School and also one of the directors of Promise Clinic. Just like her favorite superhero, Katara, she is compassionate, strong-willed, and committed to any endeavor she takes up, whether it be subbing in for lab on a busy night at clinic or organizing a gala for Promise Clinic's 13th anniversary (shameless plug 😂)! 1.What is your favorite thing about Promise Clinic? 2. If you could be any superhero, who would you be and why? Katara from Avatar: The Last Airbender. 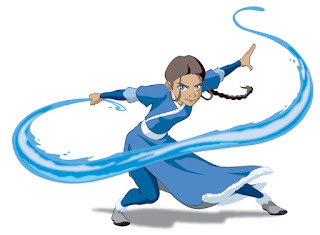 She's unwilling to compromise her principles and deeply kind, plus she can bend water and heal people! 3. What are you reading right now? Working on the Dune science fiction series...so good!